Customer's satisfaction is our number one priority! Any comments, suggestions or questions are welcome as we aim to provide our clients with the best products and services. We are committed to providing an unrivalled level of after-sales support and customer service. We make it a point to deal with your concerns within 24 hours (services during weekends or some holidays are limited). Welcome any comments, questions or suggestions. Enter to retrieve your license code if you lost it. Upgrade your product to latest version or advanced edition. Answers to general questions on purchase, CD-ROM, registration and upgrade, etc. Note: Please provide valid Email address when you fill the order form. Please keep registration information of the software you received well for further use. Because of your Email setting, the letter with license code went to Trash directly. Please look for the letter there. Your Email service provider rejects Emails from unknown senders, so the license code cannot be sent to you. You provided invalid Email address when you ordered the software. If you are under one of the last two situations, please contact our Sales Team at sales@mp4converter.net to get assistance. A: You have to place your order via SWREG platform. When you order our product, you can Add BackUp CD of your Order. You need to pay extra fee for each CD-ROM. SWREG staff will make and ship the CD for you. Q: If I don't need the CD but purchased it by accident, what should I do? A: If you don't need the CD, please uncheck this option before you complete the purchase. If you purchased the CD by accident and you have no need of it, please contact us. We will refund the CD for you. This is caused by entry error. You'd better copy and paste the license code to avoid a typo. And please don't add any blank before or after the code. License code is for the old version, but you use it to register upgrade version. You order or download wrong product, such as mix up 4Media DVD to Video Standard and 4Media DVD to Video Platinum. You mix up the Windows and Mac version products. Please note that they are completely two different products and get different license code for each own. A: Sure. Please write to us at sales@mp4converter.net, and please enclose your order related information (such as Order ID, E-mail address and name you used when you purchased, etc.) which will enable us to find your order in our database in time. A: You can always get normal update version of the software for free. Some of our products can check for the updates automatically. You can click "Check for updates" in Help menu to use this function. For other products, you can get the update version from our website. Your original license code is still valid for the update version. As of the upgrade, it is paid one. If you need the upgrade version, please contact us to get upgrade link. Usually previous users can get a preferential price to upgrade their software. Q: I get a new computer, what should I do to move the software I purchased to the new computer? A: First please uninstall the software from your old computer. And then download the version you purchased from our website at http://www.mp4converter.net/download.html or use the CD you purchased to install it on your new one. Use the registration information you got before to register the full version. Q: I am worried about my private information and I dislike paying online. Do I have other means to purchase your product? A: You don’t need to worry about that. Our payment platform is secure. If you don’t like to pay online, you can choose SWREG platform to purchase. They allow you to use Credit Card by Fax or Phone. A: First please uninstall the software from your old computer. And then download the version you purchased from our website at http://www.mp4converter.net/download.html　or use the CD you purchased to install it on your new one. Use the registration information you got before to register the full version. Please note that if you switch from PC to Mac or vice versa, you need to buy corresponding version. 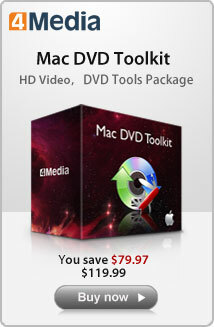 As Mac Version and Windows version are completely different products. Q: Am I entitled to a refund? "Great! Your suggestions always do the tricks. I really appreciate the good service and the nice product your guys offered. I will recommend to others."